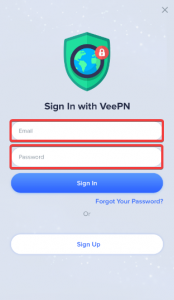 To setup VeePN on your iOS device, make sure you have a VeePN account with a valid subscription. If you don’t have one, click here to choose a suitable plan. Note that the app runs on iOS 10 and higher. 1. 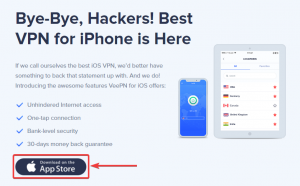 Open Safari or any other browser you prefer and go to veepn.com. 4. 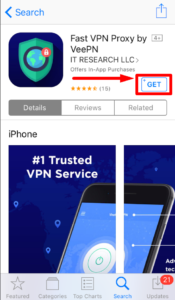 Once in the App Store, download the app. 6. Enter your email, password, and log into the account. 1. 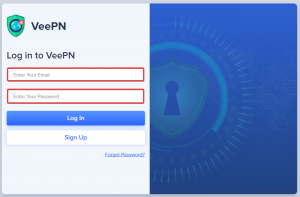 Open the app, log in using your email and password. 2. 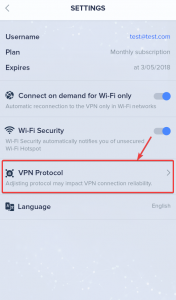 Tap “Allow” when VeePN app asks for permission to add VPN configurations. 3. Enter your passcode or Touch ID. 4. Watch a short tutorial on how to use our service. 5. Now you are on the main screen! Enjoy comfortable Internet surfing and 100% protection. 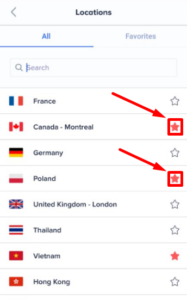 • To connect, tap the big “ON” button in the middle of the screen. • Connecting can take a few moments based on the location and load on the server. 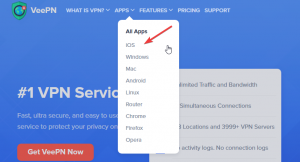 When you are connecting for the first time, we are choosing the best available server. Otherwise, you will be automatically directed to the last one you used. • Once the button has changed to white and green, and you see the “VPN is ON” message, you can browse the web safely and freely. 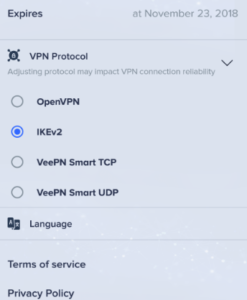 Important note: you can connect up to 10 devices regardless of the platform under one VeePN plan. 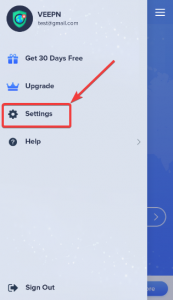 Once you hit the limit, you will see a notification asking to either disconnect a device or purchase an extended subscription. 1. To disconnect, tap on the big white-green button at the center of your screen. Do you need help? Contact our support team via Live Chat, or write at [email protected] We are glad to help! 1. 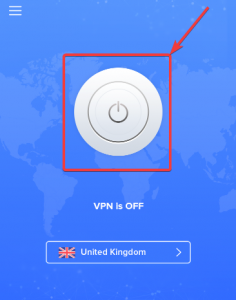 To connect to a different server, tap on the bar with a country name below the connect button. 2. In the opened “Locations” window, choose a preferred location. 3. 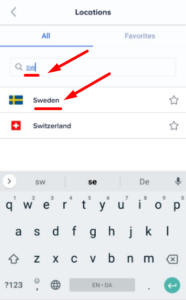 For a quicker search, start typing the country name in the search bar below. 4. 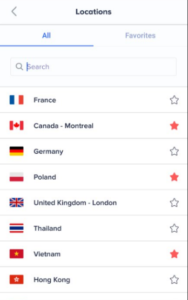 Add preferred servers and countries to favorites for convenience. 5. 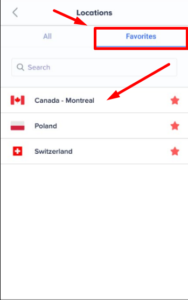 Tap the location you would like to connect to. 1. 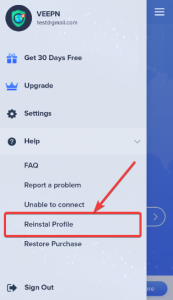 Tap in the Menu in the top-left corner. 6. Enter your passcode or Touch ID to confirm the action. 7. Your VPN configurations are reinstalled. Enjoy secure and fast internet! Follow these steps to switch the VPN protocols you are using. Switching to a different connection type can help you achieve faster and more stable network. 1. Tap on the About Menus sign at the top left corner. 4. Pick a different protocol from the drop-down menu. 1. 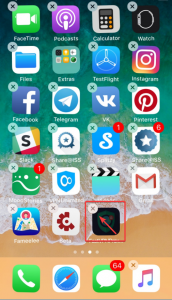 To remove the app from your iOS device, tap on the app icon and wait until the cross sign appears at the top-left corner. 2. Click on it, and click “Delete” in the dialogue window that opens. 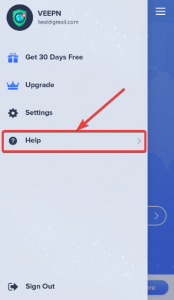 If you want to delete the app because of some technical difficulties, please, contact our support team via the Live Chat or by email – [email protected] They will do their best to help you, and we hope we will continue our cooperation.